Why Pay With A Gift Card? Unused Gift Cards lying around? Don't let them expire! Convert them to IronSocket time. Click here! Your IronSocket Subscription Will Instantly be Setup and Ready to Use! What Gift Card brands do you accept? We accept US based gift cards from 100's of major brands. You can view the complete list by clicking here. Can I use a Gift Card from a non-US country? Our gift card payment provider, PayGarden, is primarily integrated with US networks. Some non-US cards use the same network and may work. The only way to know for sure is to put the card number in and see if you get an offer. Your card will not be impacted unless you accept the offer. For users who are thinking of acquiring a new gift card and want to know how to get one that is guaranteed to work with PayGarden, see the next question. Which Gift Card do you recommend I buy? We recommend purchasing e-Gift Cards online from stores like Walmart.com and Target.com. 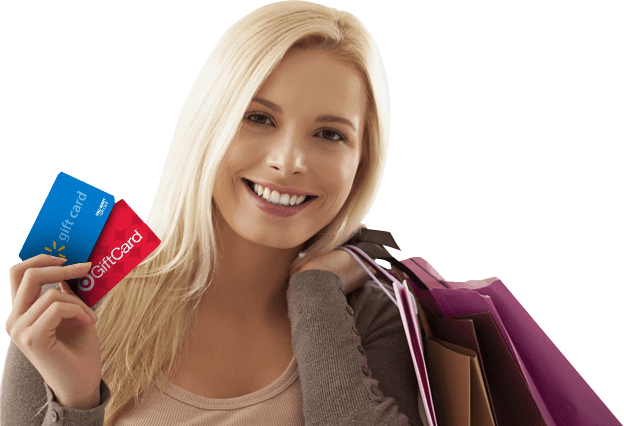 You can find a quick guide on buying e-Gift Cards from these retailers by clicking here. e-Gift Cards are delivered via email within hours and are typically available for purchase globally. How much time can I get for my Gift Card? The amount of time you get varies by brand and amount left on the card. Once you create your IronSocket account, you will be directed to our payment provider where you will be presented with an offer of IronSocket time. You will be free to accept or decline the offer. There is no impact to your gift card if you decline the offer. Is there a minimum Gift Card balance required? This is brand dependent. For most brands at least $10 USD remaining is required. Am I allowed to extend an active subscription with a Gift Card? Yes! In the members area of our website, visit the details page of any active subscription and click the "Extend with a gift card" button. Can I combine multiple Gift Cards in a single purchase? No, however you can extend an active subscription with another gift card at any time.